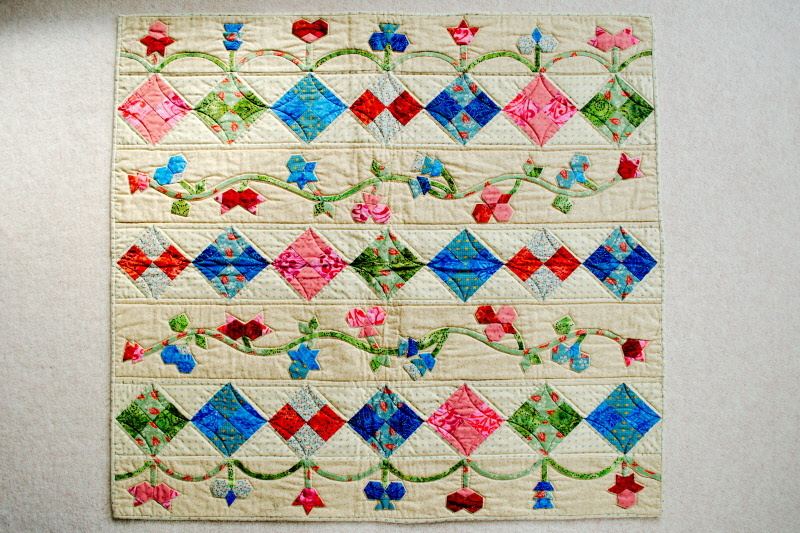 Sue Rhodes has designed this delightful strippy quilt or wallhanging using her favourite English Paper Piecing techniques. The kit gives you all of the fabrics to complete the quilt top and binding along with the pattern with templates for you to cut out. The size of the quilt is approx 33 x 40 inches, perfect for dipping your toe into quilt making.